Online retailers are everywhere, even Amazon have a range of clothes from them but what makes a retailer these days, it certainly depends on your certain tastes and budget. But I am terrible and what things look like, work and give back to me. This is why after years of being bombarded with Thread adverts and friends on social media liking Thread I thought it was about time in my current Fashion position to check it out. Now firstly I have put it in a place that is a cheaper Mr Porter as a comparison. The white crispness of the site, the emphasis on pictures and looks rather than price and what everyone else is buying is something that jumped out at me. You create your style likes and dislikes which build your portfolio of your style, then one of there stylist picks the top ones and the algorithm does the rest. Well that is what I am told and seems about fair. One thing I love is that like Mr P they stock from all different high street store brands, Topman and alike, which is something that works perfectly for me who doesn’t have time to go on mass shopping trips to bricks and mortar stores. I like to, but it just doesn’t happen (make note to head to shopping centre (mall) soon). My stylist has nearly got me down to a T and only in a couple of weeks and two purchased items. I have marked items I like and may buy down the line or just ones that I already own so to add to my style to hopefully make the choices more me. 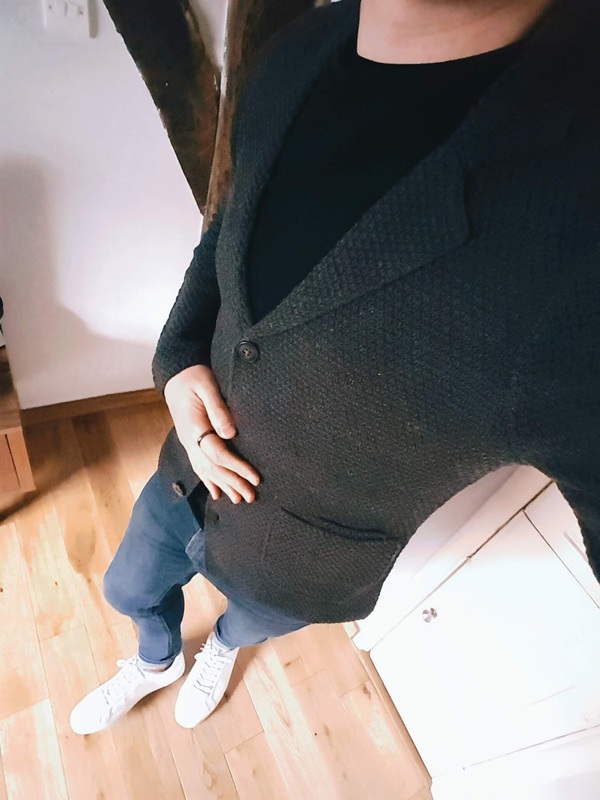 I have ordered two items a knitted blazer from Pier One and some trainers (sneakers) by SoleSet. Both of which I will blog about separately. Both items came in a Thread branded box with not too much packaging and all recyclable (this time) which is big thing for me and was all packaged really neatly. I paid using Klarna, the pay later company, you get 30 days to pay but just wanted to one check it out and not part with my cash until I was happy with my order. A great way to not pay out and wait for refunds on goods you don’t have, it is the first time I have used it and worked brilliantly and would recommend, just make sure you pay within the 30 days. *note i have no affiliation with Thread or any agency linked to Thread, I just recently signed up and used the store.